These Are The Tweets That Will Get A Doctor In Trouble : Shots - Health News The boards that license and discipline doctors are watching what they post online. Guaranteed cancer cures and photos of drunken debauchery are definite no-nos. A picture of a doctor holding a drink at an office party might raise an eyebrow but probably wouldn't trigger an investigation. What's up, doc? How would you feel if your doctor shared a picture like this one? The state medical boards who responded to the survey had a variety of opinions about what kinds of social media activity would prompt an investigation. There was wide consensus about some things, and very little consensus about others. Misinformation on a physician's website. Posting photos of patients receiving medical treatment without their consent. Contacting a patient through a dating website for a date. MODERATE CONSENSUS: Less than three-quarters but more than half of medical boards said this would trigger an investigation. Posting a photo onto a social media site of doctor clearly intoxicated. Posting patient narratives containing potential identifiers. Using discriminatory language on a blog or social media site. LOW CONSENSUS: Things fewer than half of state medical boards said would trigger an investigation. Posting something to a blog or social media site that is disrespectful of patients but doesn't contain potential identifiers. Posting a photo to a social media site that shows doctors drinking but not clearly intoxicated. 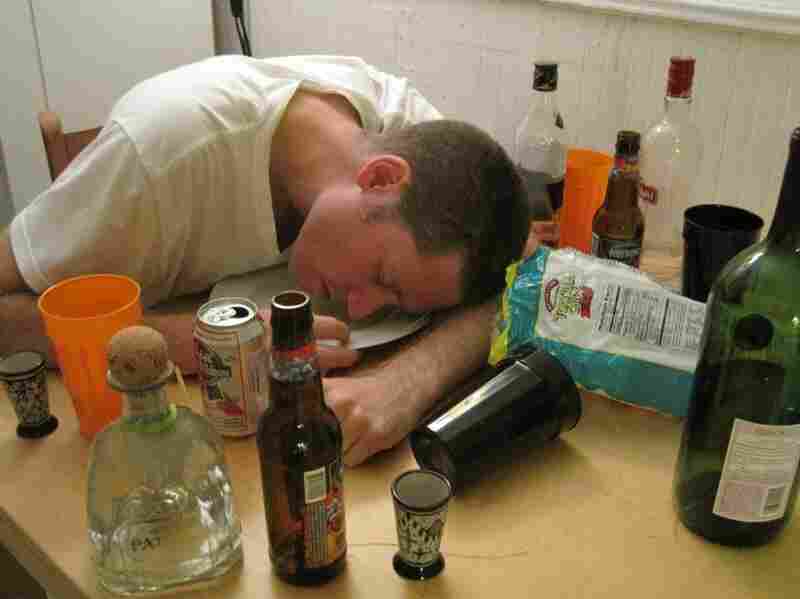 Is it OK for your doctor to tweet a drunken photo? What if the photo shows the doctor drinking, say, at a staff holiday party, but not noticeably under the influence? 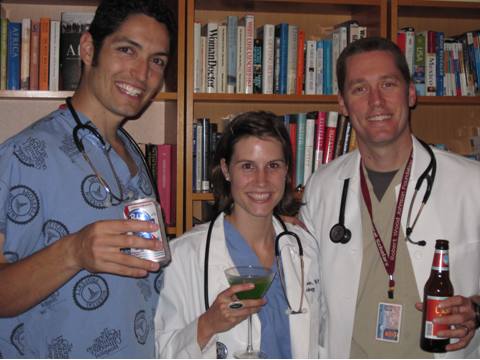 Or what if the festive physician is wearing scrubs in the photo, which might imply he was drinking on the job? The answers to those questions, according to the people responsible for disciplining doctors: definitely not, probably and maybe. To help medical professionals navigate online dos and don'ts, a group of researchers sent surveys to the directors of state medical licensing boards across the country. The surveys contained hypothetical examples of social media activity, including tweets and posts to Facebook and blogs. The researchers asked the directors to say whether these social media activities would prompt board investigations. The fictional social media concocted by the researchers ranged from the innocuous to the ridiculous. In addition to the doc-on-a-bender photo (shown at the top of this story), the researchers included a doctor using a dating site to ask a patient out, and a photo posted to a doctor's website of a patient in stirrups delivering a baby. These fictional examples were "based on things medical boards told us they were concerned about," says Dr. Ryan Greysen, an assistant professor at the University of California, San Francisco who designed the survey. "It's not hard to find images just like the ones we used with just some limited searching." In the past year or two, various medical associations have issued social media guidelines for doctors. But they were "very vague. It was like 'use your common sense,' " says Dr. Katherine Chretien, who worked with Greysen on the survey. "A lot of people wanted to know more specifics." The results of this survey, published in the latest issue of Annals of Internal Medicine, make it clear that some things posted online will almost always get doctors in trouble. More than 80 percent of the boards that responded said a doctor posting a clearly misleading claim on his website — something like "I can cure your cancer — guaranteed!" — would be cause for an investigation. "It's not 100 percent, which gives you some pause," says Dr. Vineet Arora, an internist at the University of Chicago Medical Center who's active on social media. "What triggers an investigation in those states? If this doesn't do it, what does?" Arora says she was more interested in the areas where medical boards hadn't reached a consensus. For example, slightly less than half of the boards said they would investigate a doctor for posting disrespectful language toward his or her patients on a blog. Ultimately, Arora says this survey and others like it will be helpful for doctors who want to start using social media but are worried about jeopardizing their careers. "I feel like some of the mistakes we see are rookie mistakes," she says. "That's when you're still navigating the appropriateness of social media. People who have been using social media for a long time don't usually get caught up in this kind of issue."